The market for telehealth solutions is growing rapidly as technologies and networks improve. Users across the globe - from patients to healthcare providers - are looking for an efficient, cost effective way to make use of health services. A recent report from BCC Research predicts the market will grow to $43.4 billion by 2019, - with the ‘telehome’ category dominating the segment. IHS also predicts that the market will grow tenfold from 2013 to 2018 - accounting for $4.5 billion in deployments of telehealth services like video conferencing and remote patient monitoring. 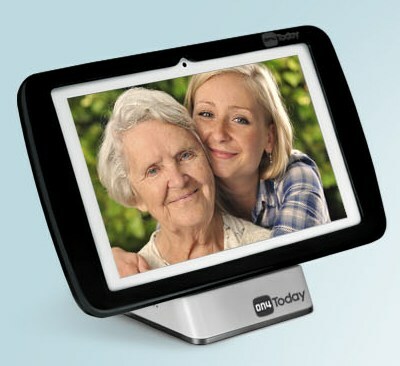 In line with this growth, the new Health and Wellness Solutions business group from Panasonic Corporation has announced it’s launching “On4Today” a tablet-based telehealth, non-clinical service aimed at helping long-term care and assisted living facilities. The hope is the offering will help residents to live more independently while also being able to keep in touch with their care providers as well as with family and friends in today’s socially-connected world. Being launched in November, the service is delivered via a light weight tablet that connects to Wi-Fi, so users can take it with them and be ‘always on.’ It also makes it easy to keep track of appointments and daily activities with reminders with a calendar feature and includes large fonts and audible and visual prompts to easily toggle between tasks. Other capabilities include a section for viewing photos and videos as well as a section for participating in video and messaging chats. Today, residents and visitors of long-term care and assisted living facilities are more tech savvy than ever. Along with this, comes the demand and expectation to be able to videoconference, chat, or easily manage reminders via a tablet or mobile device. "As the aging population increases, there is growing demand for flexible healthcare solutions capable of addressing a range of needs unique to this group," said Bob Dobbins, Vice President, New Business Development, who leads Panasonic's new Health and Wellness Solutions group. "Panasonic has the expertise to integrate its technology solutions to create a comprehensive network of care. On4Today is another step forward in paving the way for cost-effective 'care in place' practices," he added.